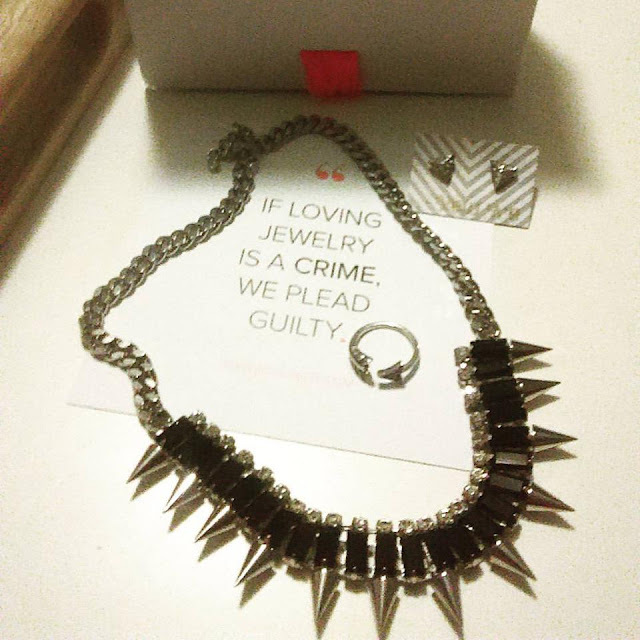 Well, I've received another Rocksbox and of course, I will be sharing the details with you all. In this box, I was sent a necklace, earrings, and a ring. That's a pretty wicked looking necklace, right? 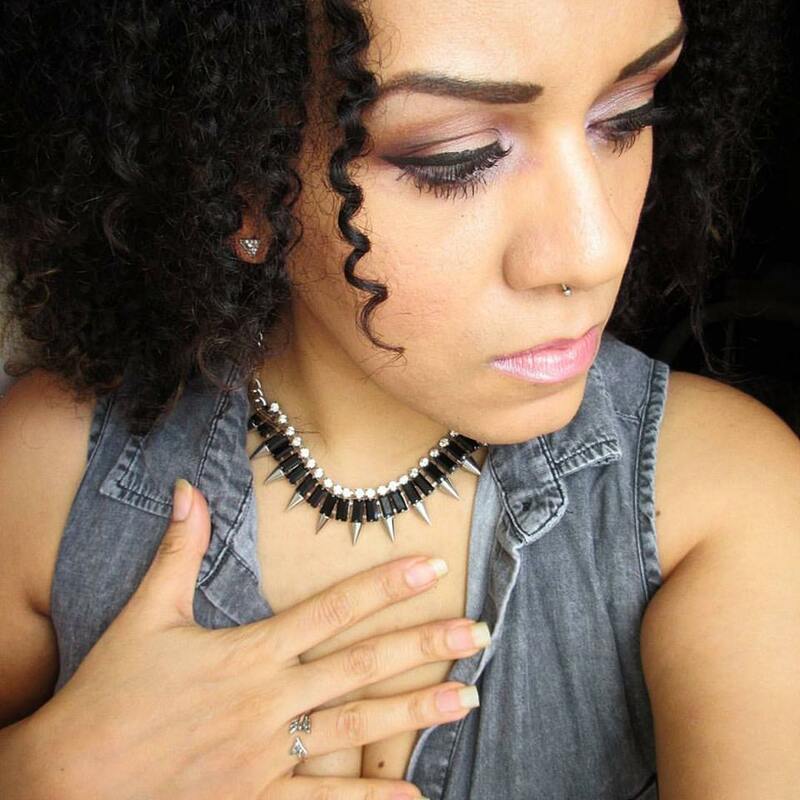 It is a #slate Spiked Out Necklace in silver. It has gems, spikes, and a thick silver chain. It reminds me very much of something that I would have been wearing all the time in high school, during my darker goth days. It looks good on me now, too. I got loads of compliments on this. It's daring, yet it has a slight classy flair to it, thanks to the little stones. This is a #HouseofHarlow1960 Arrow Affair ring in silver. I love how the little arrow wraps around my finger. It was the perfect size for my skinny little finger. Yes, they do ask you to specify which size or sizes that you wear so that you will receive something that is actually going to fit. This ring is a good size, not too bulky, yet not so tiny that it would go un-noticed. It can be worn with something casual as well as with something dressy. These are #avmax Rhinestone point post earrings in silver. They are small triangular prism studs. They're three dimensional with rhinestones. They're pretty, but as I've stated before, I'm more of a dangly earring kind of gal. These are perfect if you like something that has bling, but comes in a tiny package. They would look nicer, in my opinion, on someone who is wearing their hair up or has really short hair. With my wild curls, they are a bit hard for anyone to notice. Here I am wearing all three pieces. They do all go together well. I wore them a few times with a casual outfit (as shown in the picture above. I had on a grey "denim" shirt with a black sheer back and some black leggings, with pretty sandals. I also wore the jewelry trio on another night with a black dress. Both ways looked nice. I wonder what my next box will look like.